FYZICAL’s proven success in healthcare begins with trust... the trust that our patient-centered approach has helped build among patients and peers within local communities like yours. Consistent, manageable growth alongside the sort of freedom and independence that made your practice the community leader in localized health… this is the sort of leadership that the FYZICAL brand seeks as we expand our network of next-generation care providers. You are the future of our collective brand of care. 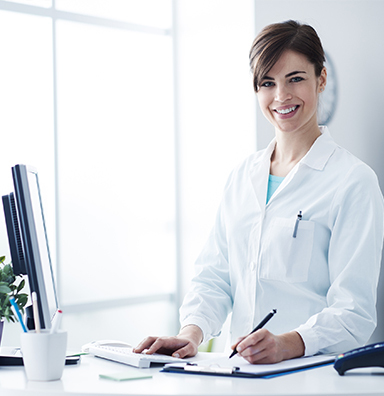 So how do we improve patient care while maintaining steady operational growth for your practice? By placing the patient back at the center… and the beginning of the care we provide. Positioning our therapists closer to the front line of the healthcare chain, we have helped reduce costs and wait time for countless thousands of patients across the country. And through acute specialist referrals, we have helped build on the trust we’ve earned in the communities we serve. FYZICAL’s brand of whole-body care is one you can build off of too. Our referral process is simple and we can help your patient fulfill their overall health and wellness objectives with one or many of our physical therapy, wellness and rehabilitation services. Please have the patient contact us today and we will get them started.